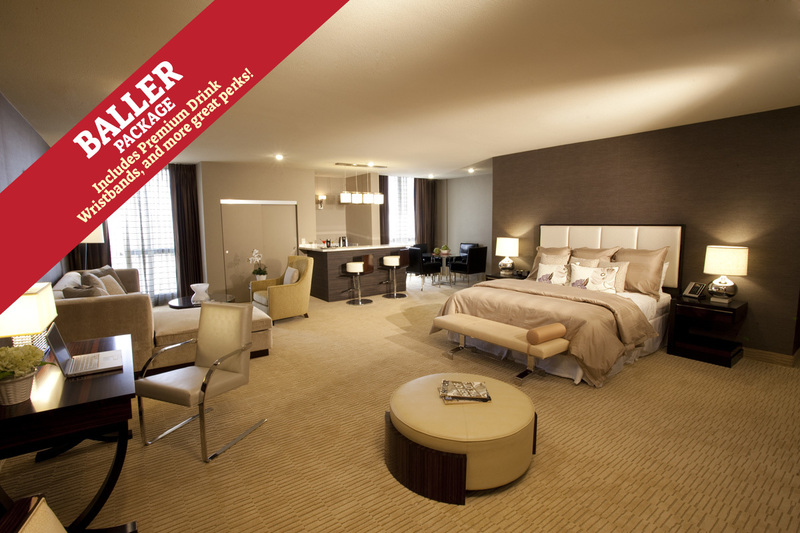 This loft style Baller Penthouse is located on the top floor of the South Tower with Las Vegas skyline views. Each Penthouse is "Unique," layout and furniture are different and feature a bar refrigerator, Keurig coffee maker, 42” flat screen television with premium cable channels and pay-per-view options, Wi-Fi, an in-room safe, AM/FM alarm clock radio, iron and ironing board, hairdryer, and bath amenities. Select King Bed or 2 Queen Beds at checkout.